The Norwegian founder of peace research, Johan Galtung, received the People´s Nobel Prize in conformity with the testament of Alfred Nobel that is awarded annually by the Swedish peace group at Orust. A seminar connected with the award ceremony reacted with consternation to the present infighting in the Norwegian parliament and to hear that the Stortinget selects the Nobel Committee members based on party interests not on knowledge of peace thinking and belief in cooperation among nations and the abolition of armaments that was the roadmap for global peace that Nobel intended to support with his prize. 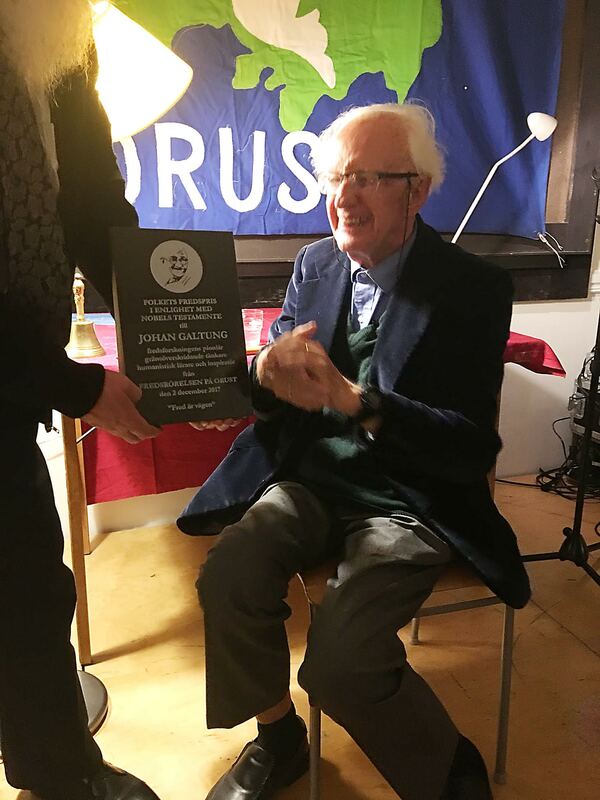 “Norway should have left the task to others in 1949,” Galtung said, while at the same time offering recognition for committee chair Berit Reiss-Andersen for this year´s prize against nuclear weapons. The People´s Peace Prize came about after the Norwegian awards lost all contact with the Nobel method for durable Peace, stated Tomas Magnusson, a former President of the IPB and now a leader of Nobel Peace Prize Watch. 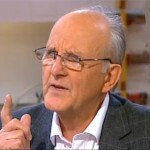 He informed that Johan Galtung for years has been on the NPPW short list of persons who are nominated and qualified to win the official Nobel Prize. Magnusson thought that the struggle for seats in the Nobel committee this fall has made it apparent to everyone that the official Nobel Prize today is about self-centered Norwegian parliamentarians lusting for the coveted seats and how little the prize now has to do with the original peace vision Nobel wished to stimulate. “An increasing number of people around the world, and also in Norway, find the Norwegian management of the prize embarrassing,” said Magnusson. Fredrik S. Heffermehl, cand. jur, LLM NYU, is a member of the TRANSCEND Network and ex-Vice President of the International Peace Bureau. 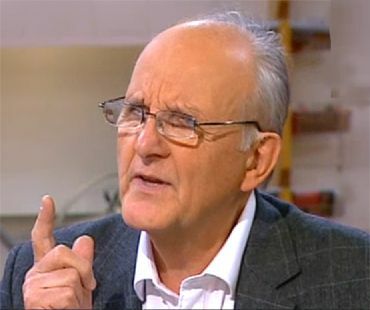 He is the author of The Nobel Peace Prize, What Nobel Really Wanted (Praeger, 2010 – expanded versions in Chinese, Swedish, Finnish, Spanish and  Russian). fredpax@online.no – http://www.nobelwill.org. This article originally appeared on Transcend Media Service (TMS) on 4 Dec 2017. Anticopyright: Editorials and articles originated on TMS may be freely reprinted, disseminated, translated and used as background material, provided an acknowledgement and link to the source, TMS: Sweden: Johan Galtung Receives the People’s Nobel Prize, is included. Thank you. It is telling of the freedom of speech in military issues in the NATO-controlled world that the mainstream media keep it a well guarded secret that the nominations are no longer secret! In the NPPW we encourage everyone to write, speak and teach about the actual intention of Nobel and the Norwegian take-over of the prize entrusted to their care – Norwegian politicians are misusing Nobel´s name and money by putting his label on a prize that has become Norway´s peace prize – with only a few exceptions, like the 2017 prize for ICAN. Instead of Norwegian politicians using the committee seats as a retirement bonus, they should have selected peace professionals – from outside the security establishment – like Johan Galtung.